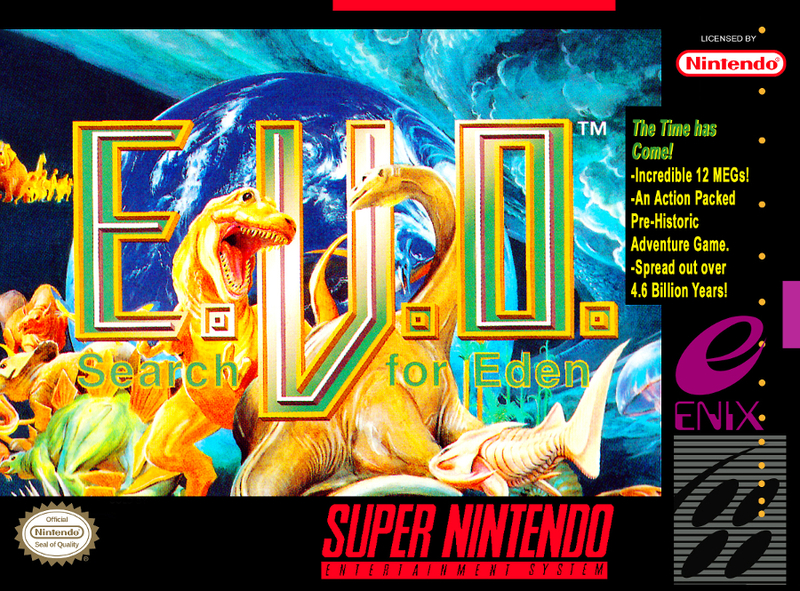 Original Thread: You want me to evolve to Let's Play E.V.O. 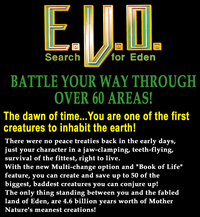 : Search For Eden? Pffft. Developed by the Almanic Corporation (who also made Wonder Project J) and published by Enix, E.V.O. 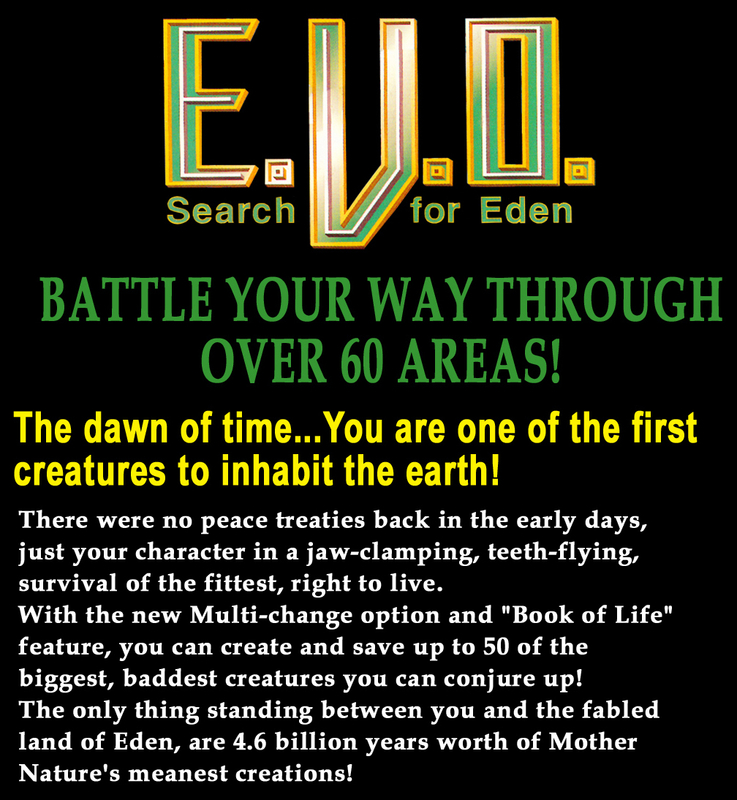 - Search For Eden was released in July of 1993 for the SNES. Aside from offering a whole 12 MEGs of content, well... Here's the box blurb. This time on Games that Leavemywife talked me into LPing, we're gonna be doing something a little different. This is going to be a video LP! Oh, and every update will include links to all of the music you'll hear in that video. Turns out that the music was originally composed by Koichi Sugiyama (aka. the Dragon Quest guy) for a Japan-only title, then adapted by a student of his, Motoaki Takenouchi (the Shining Force dude) to use in E.V.O. 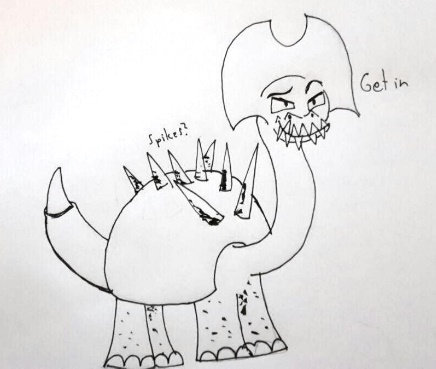 rotoscoped tries to make sense of the ultimate dinosaur.